To keep your roof in good quality, a regular roof inspection is a must. However, even when these inspections come with documented reports afterwards, you can still maximize the benefits of the process by asking important questions. This will help you get the right information, which you can save for later on when some decisions are necessary to make. 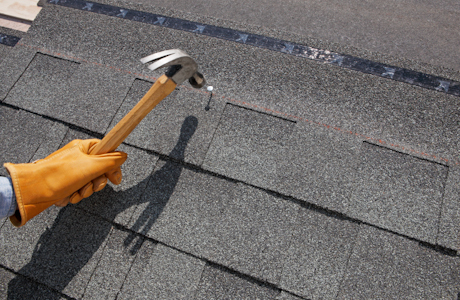 Here is a list of the top questions to ask your roofing inspector. Is the roof properly installed based on the manufacturer’s instructions? Every roof manufacturer provides for specific instructions as to how a roof should be assembled. Because these roofs are different in structure, they also come in different processes of assembly. If not correctly installed, chances are the roof will not perform its functions at its best. The worst case scenarios are structure failure and facility damage. Do the perimeters fit the standards? Again, the manufacturers give specific standards for the amount of perimeter sheets necessary for every roof system. If your roof was installed by the help of a contractor, it is necessary to ask your roof inspector whether or not it was assembled according to the prescribed perimeters, and in the appropriate width measurements. You may also further ask if your roof is correctly assembled, or if there are voids in between. These faulty perimeters can lead to structure failure and a risky roofing system as well. In what particular areas of my roof should I concentrate more? Since your inspector will not only look for present damages alone, it is essential to ask which areas of your roof are prone to risk and vulnerable to damage. The answer to this inquiry can greatly help you in making decisions later on. Should your roof also show bad indicators in the near future, you can locate where the problem must be coming from. Will drawings or photos be provided as part of the inspection report? Roofing inspectors usually provide only CAD drawings and aerial photos for commercial roofing systems for large buildings. However, you can also ask your roofing inspector for drawings and photos as these can serve as great tools in assessing your roof condition. You may further ask the inspector if they are going to provide you with before and after photos of the particular areas of concern. This can help you in making sure that the repair is well-executed. These inquiries will definitely give you vital information about the condition, integrity and lifespan of your roof. For satisfactory inspection services, be sure to hire professional roofing inspectors near you.